Guntersville, home to some 8,200 residents, is in Northern Alabama and is the county seat of Marshall County. The city is literally surrounded by Lake Guntersville, which is Alabama’s largest lake at 69,000 acres. Families in Guntersville earn a median income of about $58,000, while the per capita income is some $29,000. Lake Guntersville State Park, which is 6000-acres of natural woodlands near the lake. Zip line and Aerial Adventure Park, which uses the lake and surrounding areas for its activities. Additionally, the lake is recognized by bass anglers throughout the United States as one of the best bass fishing areas in America. It is widely considered the third best bass fishing location in America. Guntersville is served by its own school system, which includes four schools: Guntersville Elementary (K-2), Cherokee Elementary (3-5), Guntersville Middle School (6-8) and Guntersville High School (9-12). The Alabama Transportation Director in 2013 recorded a total of 392 auto accidents, including one death and 118 injuries. For Marshall County, which houses Guntersville, the numbers are much higher. Marshall County witnessed 2,152 total auto accidents, 19 of which resulted in deaths and 735 of which resulted in injury. These statistics emphasize the fact that residents and visitors of Guntersville are susceptible to serious automobile episodes and can be seriously injured. If you or a family member has been involved in an automobile accident, please make sure your first step is to seek medical attention for any and all injuries you sustain. Your safety is of the utmost importance. Additionally, should you decide to seek compensation for damages incurred, you must have medical records on file. Properly documented medical records will assist your attorney greatly when pursuing an injury claim on your behalf. Once you have secured medical attention, please contact Hollis, Wright, Clay and Vail, P.C. 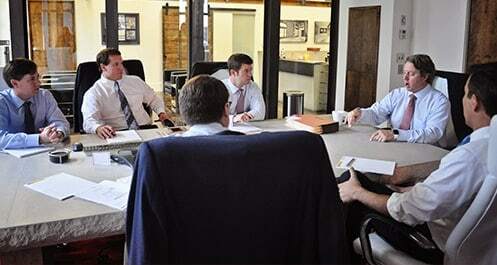 as soon as possible so that our attorneys can review your claim and investigate the possibility of compensation. Hollis, Wright, Clay and Vail, P.C. is located conveniently in Central Alabama in Birmingham. Our knowledgeable attorneys are readily available to assist those who reside in Guntersville and its surrounding areas with their personal injury and automobile accident claims. Our attorneys pride themselves on spending considerable time, resources and finances to investigate your accident and determine exactly what transpired and to what compensation you are entitled. The laws of the State of Alabama make clear that all residents of Alabama are entitled to claim damages and receive compensation for lost wages, emotional stress, pain and suffering, and medical bills. Those whose lives are altered due to injuries sustained in an auto accident are also covered under these laws and should take the time to contact Hollis Wright. Hollis Wright has been serving its clients for 15 years and has more than 100 years of combined experience. Our attorneys are more than qualified to handle your automobile accident claims as well as any personal injury you may have. Invested in you and the outcome of your claim, our attorneys work for you to “level the playing field” in your situation while ensuring you receive the compensation to which you are entitled. If you or a family member has been injured or killed in an auto accident, please contact our attorneys at 1-844-LAW-TALK for a free and confidential consultation. We handle all cases on a contingency-fee basis, meaning we only receive payment should we recover compensation for you and your family.